Empathy represents a complex, often misunderstood, and sometimes taken-for-granted set of skills that help us to navigate our social and emotional world. It includes not just feeling concern for others who are in distress, but also our ability to “see” things from another’s perspective as well as to imagine how someone else might be feeling. This phenomenon is believed to be influenced by social experiences starting in infancy. Beginning at just 6 months, babies use social referencing (watching their caregivers’ reactions in new situations) in order to determine how they should react to new people and experiences. By the time they finish toddlerhood, most children have achieved two additional milestones in empathy development: they are able to recognize themselves in a mirror (indicating that they can perceive themselves as a person separate and distinct from others), and they have developed a “theory of mind,” or recognition that others have thoughts, feelings, and ideas that may be different from their own. 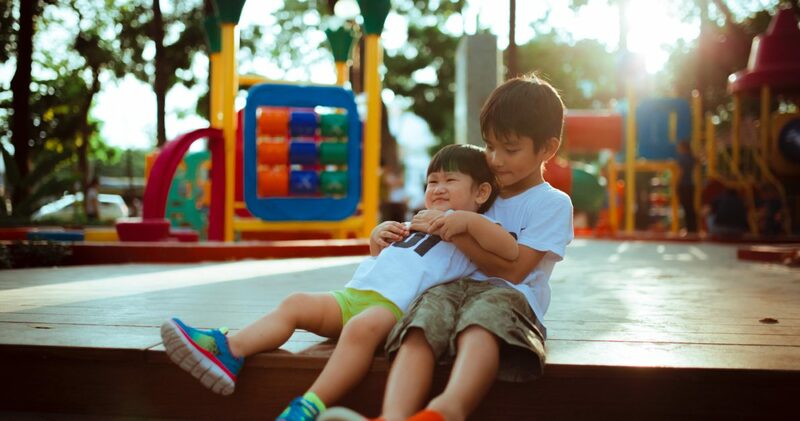 While many children, including those with autism spectrum disorders and other developmental differences, struggle with perspective taking and emotional awareness, it is possible for all children to build their repertoire of empathy skills. •	Label and validate your child’s emotions: Helping children identify their own feelings and expand their vocabulary of feeling words helps them to identify the emotions of others. Additionally, by showing acceptance of a child’s difficult emotions, you help them to accept and empathize with others who are in distress. •	Talk about what others are feeling: In day-to-day life and while reading stories, watching tv, etc., parents can point out and label what others are feeling, to help children build awareness of others’ emotions. You can also discuss what might make that person feel better, to further practice “seeing” from another’s point of view. •	Use stories: Read books with your child that are specifically geared toward identifying and understanding feelings. Some examples include: “Glad Monster Sad Monster” by Ed Emberly and Anne Miranda; and “My Many Colored Days” by Dr. Seuss. •	Use play: Through pretend play using toys or stuffed animals, parents can help their child practice identifying what others might be feeling, as well as model how to help others when they are sad/mad/scared/etc., in a fun and engaging way. With practice and patience, children of all different skill levels can enhance their capacity for empathizing with others, setting them up for increased social and emotional well-being as they grow.